With so many books constantly popping through my letterbox all beautifully packaged and very appealing, it can be good to sometimes sit back and take stock of the books I still haven’t read. I went through a phase a while back where I devoured as much middle grade as I possibly could and this was one of my purchases then. To me, it sounds like a middle grade version of Mr Selfridge which was on TV a while back, with a mystery thrown in. How cool does that sound?! When I received a copy of this from the publisher, I fell in love with how gorgeous it is. I can’t wait to read it because Nicole has been raving about it for a while, and I’ve heard that it’s told in an unusual way – not through a typical narrative, but through documents and emails in a really creative way. I LOVE books like that! I can’t believe I haven’t read this yet! I love James’s writing and I am incredibly proud of him, especially as he is now starting the process of transitioning into a woman. James is one of the best UKYA writers and I love him. 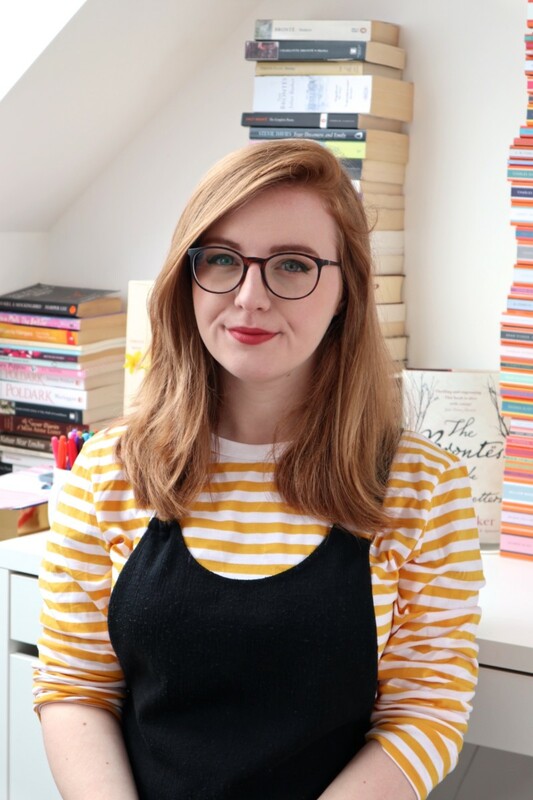 After hearing wonderful things about Courtney Summers’s books from Holly Bourne and then finding out that All the Rage is going to be published in the UK in 2016, I got very excited to read it. It’s had some great reviews on Goodreads and I think it will be a great feminist read. Kind of cheating by adding this one because I’m currently reading it, but I had to include it because I’m loving it so much. It’s a brilliant tale of friendship and how abuse doesn’t just affect one person, it affects a number of people. The way that Sara writes the friendship between Caddy, Rosie and Suzanne is beautiful and very realistic. I will be recommending this book a lot! What books are you hoping to read soon? Georgia Stencel recently posted…NOTICE: Changes to The Books Bandit. I NEED to read The Heir of Fire and Queen of Shadows, then I would like to read Mrs. Peregrine’s Home for Peculiar Children (and the rest of that series) and The Series of Unfortunate Events books for Halloween. 🙂 Looks like you have a pretty good TBR. I haven’t read them, but I know some of them are pretty hyped. 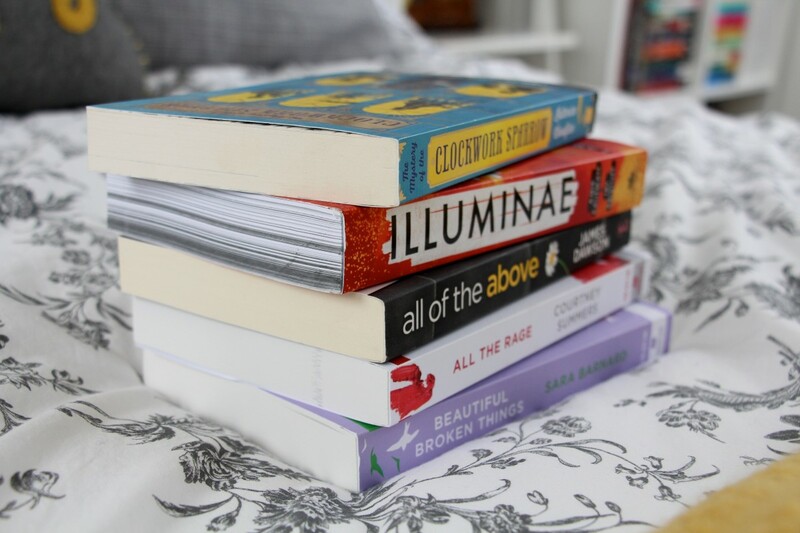 ALL of these are on my TBR except Illuminae, which is on my wishlist! prettybooks recently posted…Win Colour Me Mindful: Seasons book and original drawing! Illuminae is amazing! In fact, read it soon so I have someone to talk to about it! I’m currently reading Beautiful Broken Things and it’s just stunning! I’m so in love with it, my review is probably just going to be a whole lot of nonsensical gushing haha! I also received All The Rage and I’m so excited to read it!